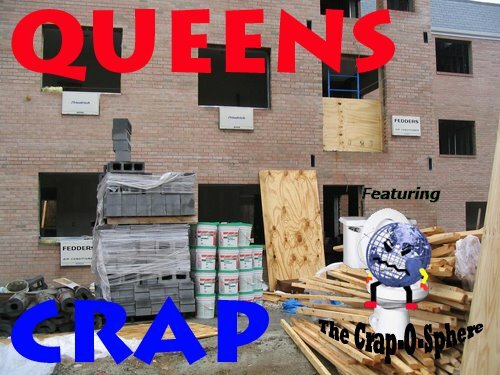 Queens Crap: They want to build WHAT in Flushing Meadows? "And yes, the Parks Department really need to do a better job of paying attention to the largest green space in the largest borough instead of spending so much damn attention to Central Park and Prospect Park," said Parks Chair Kim Ohanian closing the meeting. "And we are sick and tired of getting short changed. You guys treat us like crap and we're tired of it. Ok?" she continued. So Hevesi, Koslowitz, Peralta and Aubry think a power plant inside Flushing Meadows is a great idea? How much payoff did these morons get from the USTA? They take the Queensboro and Triboro Bridges from you and now valuable Queens parkland. Why not consider new construction on the Sheep Meadow in Central Park in Manhattan? Plenty - plenty - of open space there. Of course, the octogenarian, ready-to-retire, Helen Marshall, the Borough President of Queens is FIGHTING for you on this issue. In re: the power plant, I could only find a brief reference to the installation an emergency diesel generator by the USTA in the link. It seems a reasonable contingency considering Con Ed's renowned service reliability. After all, Rafa can't play in the dark and they gotta keep those $8 bottles of Heineken cold during the Open. Though it may be more indirect than a direct USTA deposit - it may be done through individual developers or through various USTA executives personally. "The meeting was adjourned until the first week in March." But why didn't CB7 vote right away to reject the proposal? why was the meeting adjourned? I first met that shady clubhouse house servant Jeffrion Aubry at a BFHA meeting in 1986, when he was acting stooge for borough president Claire Shulman. It was clear to me back then, that he would sell out our borough in exchange for future political gain. 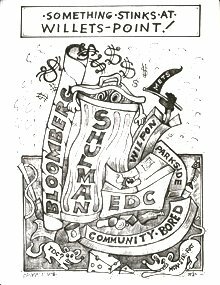 That notorious Shul-Manes administration set the fast pace for colluding with land developer thieves, which is still the benchmark for corruption in Queens! 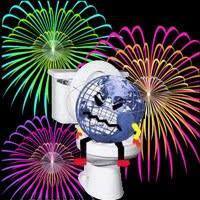 Thanks Kim, for speaking up to the USTA, but your TOY GOVERNMENT'S opinions don't amount to a fart in a tornado! CB#7's votes are pure window dressing, being only advisory! Ashe Stadium (Stadium 1), and west of Louis Armstrong Stadium (Stadium 2). This would be approximately 350 feet from areas that would be accessible to the public. 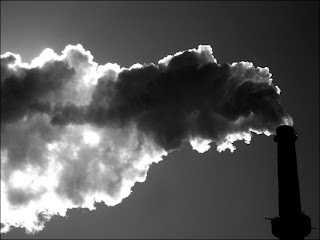 of Sky View Parc....diesel fumes pollution. They have to keep their hands off Jamaica Bay - the Feds have it protected as part of the National Seashore. But Flushing Meadow-Corona Park is the piggy bank for developer's contributions to campaign chests that they just can't wait to crack open. Why not get out of the way facilitate the sales of idle lots, be they zone as retail, industrial, or residential, to new owners who can help Queens private sector grow? Used just 2 weeks out of the entire year. Park goers must suffer year round! are imbedded as board members of CB#7? Has anyone ever bothered to investigate if Chuck Apelian's "Prestone" company is printing any of the USTA's materials? He's done printing for Paul Vallone in the past, and Paul is a board member..
Gene Kelty is tired and disgusted. He doesn't care much at this point, as long as he can hoist a few to ease the stress and strain. Can you blame him? That whole board needs to be dumped, and I don't mean recycled! she's likely in bed with the USTA...more or less. What a premium priced dog and pony show folks...at your expense. Everybody at CB#7 is cutting a side deal to benefit their own nabe, in exchange for selling out someone else's. I was just appointed to my community board, and will probebly get kicked off soon. The CB's have no real say in anything, as near as I can tell, and serve only as a pressure relief valve. Anon. #7 is right: deals are cut at the expense of the usual screwed neighborhoods to benefits the few. In development issues, no matter what anyone says the BSA does whatever the developer wants. Lots and lots and lots of time is wasted on pro-forma liquor license reviews... but Youth programs? no money. Increased enforcement? no money. Feh. I am totally disgusted. My dear sister Helen, my dear brothers Gene and Chuck. That's enough to power 8,000 homes. To watch tennis in an outdoor stadium ? Call your councilmember and demand legislation to be introduce to abolish these worthless community boards they are only excuses for our elected officials to escape responsibility. The USTA should donated money to the the rest of the park so it can be improved and kept up. "The US Open turns the eyes of the world to Queens each summer," said Rep. Joe Crowley (D-Queens, the Bronx). "I’m pleased the USTA is making this investment, which will ensure the US Open remains a part of Queens for years to come. The US Open has a tremendous impact on our local economy, and these investments will ensure that visitors and New Yorkers alike will continue to enjoy the facility, the great sport of tennis and all that Queens has to offer." And I bet a lot of other Virginia residents love it too! At 8MW electric, that is a 11,400 hp diesel engine. Diesel fuel is an expensive way to go about it. All that for 2 weeks a year? Something doesn't add up. Why would you buy, install, and maintain an engine you use 3.85% of a year? Can't you rent one? one that comes on a 52' semi trailer? This is a bad idea all around. I propose the MTA convert the garage and fleet at the Casey Stengel Depot to Natural Gas buses and run a gas line to USTA for a nat gas cogen power plant. A two fer. Suspect you're right, something does not add up. Perhaps the CB should respond to this point. You're HP figures is a "theoretical" translation from MW. Toss in some thermal inefficiencies and odds are that you'd need about 15K HP. 15K HP is what 4 to 5 modern diesel engines have ! That's a whole lot of engine.